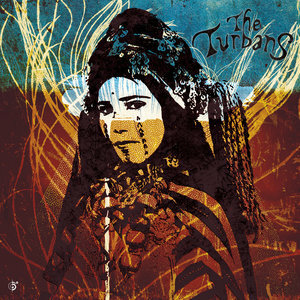 The Turbans' self-titled debut is a cornucopia of folk traditions that embrace the Turbans' individual and collective senses of heritage. While politicians the world over froth at the mouth debating what groups of people should be allowed to travel and which should be turned away at the borders, the seven members of the Turbans find a simpler way to answer questions of multiculturalism. With roots in Turkey, Bulgaria, Israel, Iran, Greece, Spain, and England, the band has much to incorporate into the unique music that it has been playing together for the last seven years, and the group's self-titled debut is a cornucopia of folk traditions that embrace the Turbans' individual and collective senses of heritage - as well as going beyond them with special guests and years of experience playing abroad. A tribute to constant travel, single "Riders" opens the album with a sound impossible to place, perfect for a band as constantly on the move as the Turbans. Winding oud melodies meet passionate vocals that sound like they could be from the Balkans as easily as they could be from the Middle East; responsive shouts evoke Greek celebrations. Wind instruments introduce touches of klezmer, while electrified strings give the piece a modern edge. The track is one of the group's strongest, a perfect start to the unfurling of the many colors yet to come on The Turbans. Indeed, the Turbans' palette is a vibrant one. "Zawi" is a direct return to the group's aforementioned klezmer sounds, and also features some of the album's heftiest rock and roll guitar moments - a party all the way through. Playful "Samia" is a Francophone love song with a beat that borders on samba and thrilling violin notes. "Kansianitsa", like "Riders", revels in the glories of diversity by once again making previously unheard-of combinations that cross cultural boundaries. Moroccan Berber musician Simo Lagnawi, a master of trance-like Gnawa musical traditions, joins the group with vocals and the lute-like guembri on paired tracks "Hamouda" and "Chubby", which blossom with upbeat North African sounds from the southern side of the Mediterranean region. The joy that abounds on the album is not always simple. Often, a melancholy runs deep beneath it, a contrast that allows the love in each track to shine even brighter. Such is the case on "Sinko Moy", a song written by Bulgarian band member Miroslav Morski about being away from his son. Morski sings with a bittersweet longing in his voice as he thinks of times together; the London Bulgarian Choir rises up like a tidal wave of sound, carrying Morski's to the song's resonant end. Later, flamenco-inspired "Aman" presents lyrics and classical guitar work wound into a magnificent Gordian knot, which the band then cuts straight through with dancefloor-ready beats. Constant tempo changes tell a dramatic story on "Madhavski Horo", though just waht transpires is left up to the listener's imagination. Slower instrumental "Ruuah", too, plays with shadows. Minimal in percussion and complex in meter, it unravels rather than explodes, setting it apart from the rest of the album. With "Ruuah", the Turbans have just one more song to sing. In many ways, "Hackney" is the linchpin of The Turbans. The only English-language song, it describes London's most diverse borough as a humble utopia, one where social and familial ties are strong and critical: "Always welcome to Hackney / No disappointment in Hackney / Always find friends in Hackney," goes the chorus, and the band spends the rest of the track extolling the virtues of being surrounded by a plethora of different languages, cuisine, and, above all else, people. The Turbans embrace the global microcosm of London just as they embrace the greater world. At times, the band refers to music from "manywhere" as the group's real genre, but that should not be taken to discount the care that goes into each creative choice on the album. Each musician plays with purpose - whether it be personal or with a more explicit political purpose in mind - and with the kind of enthusiasm that makes every journey one worth taking.